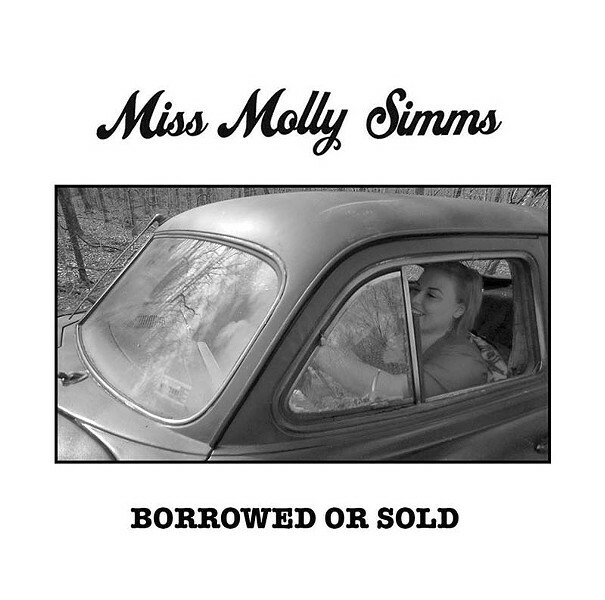 As both a musician and a music fan, Molly Simms understands the importance of physical media. Until recently, she worked behind the counter of Euclid Records, slinging CDs and, increasingly, vinyl records to a population not sated by mp3s or Spotify streams. Her stop-motion video for last year's "Can't You See" found the singer and guitarist physically overwhelmed by her record collection, as LPs by Edith Piaf, the Beach Boys and Alabama Shakes unmoored themselves from Simms' shelf and arrayed themselves around her. It was an apt image for a musician who is herself omnivorous in her taste and, while still in her twenties, has already amassed a few albums that bear her name and her songs. The latest of these is the four-song Borrowed or Sold EP, and Simms chose to celebrate her allegiance to the musical artifact itself by releasing the CD at last weekend's Record Store Day event back at Euclid. "First and foremost, those guys are my family even though I'm not working there anymore," says Simms. More broadly, she sees the value in the community that is formed by a shared love of music: "The record store has always been a place to gather, and more people are shopping for vinyl and physical media." Borrowed or Sold picks up where her last album, 2015's One Way Ticket, left off, melding blues, rockabilly, country and rock in a simmering, sometimes surly package. Simms' voice glints like burnished chrome on these tracks — she can be coy or strident, but she's always at the center of these songs. Even on this brief EP, Simms offers a number of guises — the romantic, the defiant, the supplicant — without losing the essence of her musical identity. Once again Simms has partnered with drummer and producer Zagk Gibbons, who offers a clean, no-nonsense recording while finding space for lovely little filigrees like glockenspiel pings and warm organ chords. Jamey Almond, Simms' bassist since 2012, returns to handle the low end, and in lieu of a lead guitar, Zac Minor's tenor saxophone takes the harmonic lead more often than not. Minor, who began playing with Simms in Al Holliday's East Side Rhythm Band (in which Simms sings backing vocals), channels the strong, strident tone of early '60s rock & roll, undercut with a clear R&B background. According to Simms, the instrument's prominence was due in part to her relationship with Minor — the pair are dating and have begun writing music together — and part to her avowed limitations on guitar. "For me I feel like I'm not as able to come up with as much lead guitar stuff that I want to do, so that sax acts as a lead through the record," says Simms. Though the instrument has, for a long time, become a symbol of either rock classicism or cheese-pop excess, Simms found inspiration for incorporating the sax from her record collection. "I think a lot of rock & roll bands from the '80s used it," she says. "Even Thin Lizzy had cool sax parts, and bands like the Waitresses — so many cool bands used that sound." The new line-up lends color to "Estella," the EP's lead-off track that shows Simms' romantic, slightly wistful side. "It's the character from Great Expectations," says Simms of the song's name, an archetype for the long-lost love. "A woman I know would always refer to the love of her life as Estella. That was what we called those people in our lives." Simms mentions Tom Waits' "Martha" as a similar composition, one that inspired her this time around. "I love those songs about old loves that try to come back." 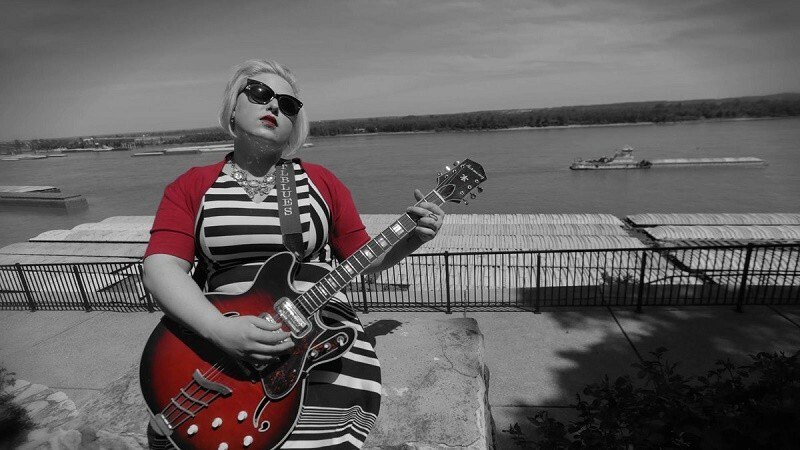 Since Simms also has a long association with the Bible Belt Sinners, a more rockabilly-inspired quartet which she fronts, she's learned to parse which songs will work with which outfit. "I feel like when you're writing for a band and you're the sole writer, you want to include everyone's voice on that song," says Simms. "I'd sit down and write something to write a Bible Belt Sinners song and ask, 'How can I speak my truth in a way that's not too sappy or love-driven, so that my band won't feel lame about it,'" she says with a laugh. "When I write a song and I wasn't sure where it would go — I had to see if it could go that way, and be a bit rougher," says Simms. "At their core those are country songs, but they work with either group." Simms points to the track "Real Good Man" as emblematic of her writing process, one that is not dictated by genre. "I had an argument with my lover and as an apology I wrote 'Real Good Man,'" she says. "I really liked the chorus, which started out as this kind of country thing. I messed around with the chorus and it turned into more of a Motown song." The mutability of her songs speaks to Simms' willingness to mesh her influences into one direct sound, one that is multi-hued but thoroughly American in its reference to blues, soul and country traditions. Simms and her band corral these energies well, but Simms remains resolute on her music's prime directive. "No matter what I get labeled, bottom line, we're a rock & roll band." Want your CD to be considered for a review in this space? Send music c/o Riverfront Times, Attn: Homespun, 6358 Delmar Boulevard, Suite 300, St. Louis, Missouri, 63130. Email music@riverfronttimes.com for more information.